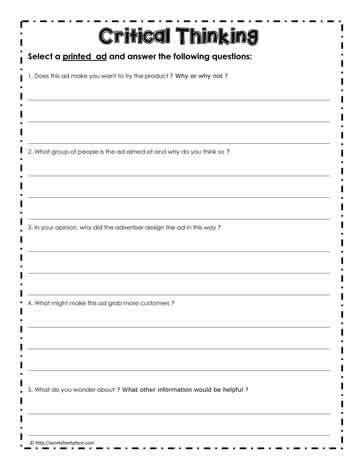 Select a printed ad from the newspaper, magazine or internet to complete this media literacy worksheet. Critical literacy can be taught through media literacy. Students are required to infer in an ad, inferring is a critical thinking skill.